Congratulations! You're now a proud homeowner, financed through your mortgage. Now comes the unexciting but vitally important job of making sure that you understand how your payments work and pay your mortgage on time. Financial papers from your bank or lending institution can be difficult to understand, so we've prepared this simple guide to help you better understand your mortgage payments. Most mortgages allow you to choose the frequency of payments. 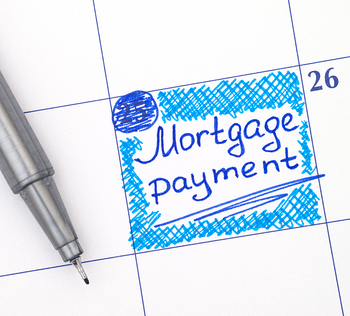 Traditionally, mortgage payments are made monthly, but you can also choose weekly or bi-weekly. If you choose monthly, you'll be making 12 payments a year. If you choose bi-weekly, you'll be making 26 payments a year. If you choose weekly, you'll be making 52 payments a year. In most cases, your mortgage payment will be withdrawn automatically from your bank account, so it's important that you're prepared. If you're making monthly payments, the calculation is easy. On the first day of the month (usually), you'll have to pay a specified amount. For weekly and bi-weekly payments, the math is a bit more complicated. Weekly payments are calculated by multiplying your monthly payment amount by 12 and then dividing it by 52. Bi-weekly payments are calculated by multiplying your monthly payments by 12 and then dividing it by 26. 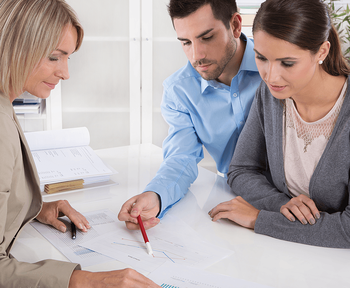 Many banks and lenders in Canada offer "accelerated" ways to pay off your mortgage. In short, the term "accelerated" means that you have the option to pay your regular mortgage payment much more often. If your mortgage payments are due on a monthly basis, accelerated bi-weekly payments mean you'll be paying twice a month or 26 times a year. Accelerated weekly payments mean you'll be paying four times during the month or 52 times a year. The way accelerated payments are calculated is a bit different. For instance, if you choose accelerated bi-weekly payments, your monthly mortgage payment is divided by two. You'll still make 26 payments a year (just like a regular bi-weekly payment) but the amount you'll be paying will be a little higher than a standard bi-weekly payment. Likewise, accelerated weekly payments are calculated by taking your monthly mortgage payment and dividing it by four. You'll be making 52 payments a year, but the amount will be a little higher than a standard weekly payment. Your mortgage is a loan for the purchase price of your home minus the amount you put forth as a down payment. Current Canadian mortgage laws mandate that you must pay at least 5% down on homes with a value under $500,000 and at least 10% down on homes valued at $500,000 and above. Your down payment percentage will determine whether you get a conventional or high-ratio mortgage. Note: If you paid less than a 20% down payment, you'll be required to get mortgage insurance. The cost of the insurance will be added to your total mortgage amount. Banks and financial institutions make their profit from mortgages by lending money and charging interest. The term "interest" refers to the money you'll be charged – you will have to pay a percentage of money (interest) in addition to the mortgage amount. Mortgages come in two kinds: fixed rate and variable rate. The "rate" that these terms refer to is the amount of interest the bank or lending institution will be charging you for lending you money. Canadian law strictly regulates interest rates which are based on the Bank of Canada's prime lending rate. Amortization is a fancy financial term that refers to how long you have to fully repay your bank or lending institution for the money they loaned you. Most mortgages in Canada have between 10 and 30 years for their amortization period. This will vary depending on if you decide to go with an open or closed mortgage. The amortization period is used to calculate how much you'll pay every month. The mortgage amount + interest / number of total payments you'll make = your monthly payment amount. In short, the longer you have to repay the bank, the more you'll pay in total interest. Conversely, the shorter the amortization period (less time to repay the bank), the less interest you'll pay. In Canada, this is slightly different than the amortization period. In most cases, the mortgage term refers to a date in the future in which you can no longer make monthly payments but must pay off the remaining balance of your mortgage. You can get a new mortgage from a different institution. The point of the mortgage term is for the bank and you to have the freedom to find a better deal. To make everything really easy to understand, we have created a simple to use mortgage calculator so you'll always know how much you need to pay, and when. Understanding all of the terms and conditions of your mortgage payments is essential to maintaining your home, keeping your credit in good shape, and knowing exactly how much you'll be paying and when. If you have any questions about your mortgage, do not hesitate to contact your mortgage provider or the bank or institution that loaned you the money. © 2019 NuVista Homes. All Rights Reserved.